TFS is one of my favorite places to be! The encouragement and dedication of the trainers there has inspired me to be a runner for the rest of my life. – Dagny Signorelli. I just finished preseason today and I can honestly say I have never felt more fit in my life. They motivate me by using positive & supportive methods, thus promoting fitness as a way of life, not a means to an end. I did the 30 Day Challenge and when I look at my before and after pictures all I can say is WOW! The results were amazing! I have several injuries, including those resulting in two back & two knee surgeries. The Fitness Source has customized my personal training program to accommodate the restrictions imposed by my Doctors, keeping me strong, fit & most importantly, injury free. I felt very comfortable with the atmosphere and the trainers at the fitness source. They were concerned about my health, fitness and healthy eating habits, no joke. - Biggest Winner Challenge “6 week spring edition” begins January 7th. The Challenge is back again! Join the 6 week “spring edition” of the Biggest Winner Weight Loss Challenge. Register today for only $160. Contest begins on January 7th. Congratulations to ”Team Sweaty Coconuts” (Amanda, Kristen, Erica, Jahira and Alfred) for losing the most weight loss percentage in the “Fall edition 2016″. Congratulation to Roberta and Zach for winning the most weight loss during the 3 week weight loss challenge “Summer Edition” May 2015! Congratulations to team “Soon 2 B Skineez” (Brian, Terra, Ashley, Nick, Rosie) for winning the most weight loss percentage in the Biggest Winner Challenge 10 “Spring Edition” 2015. Congratulations to the Winners of the Biggest Winner Challenge 9 “Fall edition” – Team Winners can be losers (Michelle, Lance, Roxanne, Joey, Amanda). Team lost more 60lbs to win the title. Congratulations to the Winners of the Biggest Winner Challenge “Spring” edition – Team 413: Travis, Janie, Mark, Jamie, and Danny. Team lost 86.5lbs over 6 weeks which brought them to the most weight loss percentage. Team 413 barely edged out the victory over rivalry team “Happy before 6 (HB6)”. How has getting FIT at TFS changed your life in a positive way? 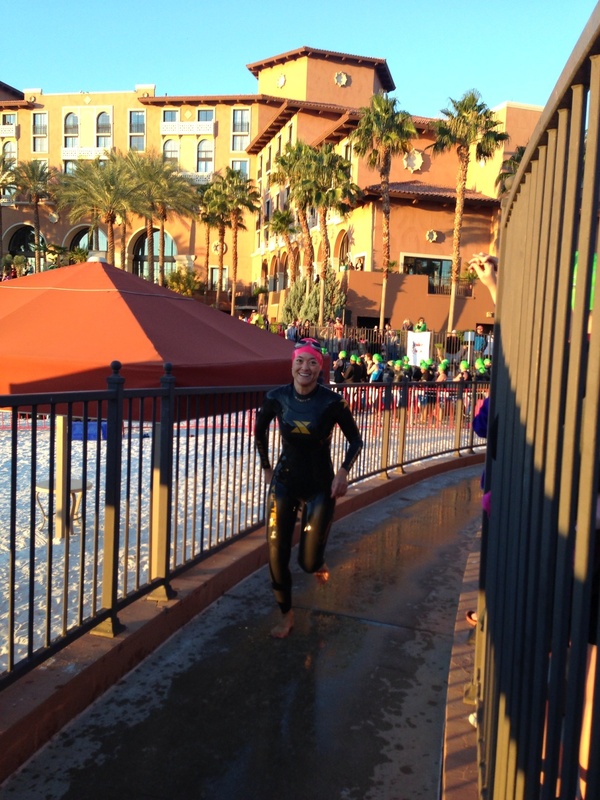 I never knew that seeing a PR story about training for a triathlon would change my life. After seeing a story about training for the IronGirl triathlon, I picked up the phone and made the decision to at least go to the meeting to find out more information at TFS. 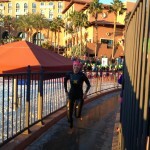 I signed up for the training and finished my 2nd sprint triathlon, but going into it much more prepared than my first triathlon. I stayed in contact with Stephanie and referred my friends Rochelle and Michelle to sign up and train for a triathlon with TFS. I later saw Mike and Stephanie at a packet pick-up for Labor of Love that I was volunteering at and talked to them about a co-worker who was training for a fitness competition and getting really lean and toned. I wanted to tone up and get some personal training to help me with my marathon training. In December 2012, TFS had a special on PT. I messaged Stephanie and told her that I was interested. I started training in January with Mike and Stephanie about 2 – 3 times a week. I noticed I was getting stronger and was able to lift more weight. I continued to see my body changing in ways I never saw with Boot Camp, Body Pump, Box Aerobics, Step, Pilates, etc. I saw improvements in my running. I had PR’s in my half-marathons and a full marathon where, due to injury, I only got up to 15 miles on my longest run. The full marathon was on June 1, 2013. When I got home from my marathon trip, I started researching “clean eating.” I thought I was eating “healthy” and working out, but it wasn’t until I changed what I was actually consuming that I started to really lean up. I had more energy. I was getting even stronger. I felt better. I recently just completed my first International distance triathlon. I thought I would end up finishing around 3:40 – 3:50. But, I felt great that day and completed it in 3:12:13! Since January, I have dropped 2 sizes, continued to eat clean, stopped drinking alcohol on a regular basis, run faster, improved core strength, see definition in my body, cook and bake delicious “real” food, and continue to surprise myself with each race. I have also encouraged others to improve their health and will continue to be a positive inspiration for many of my friends, co-workers and colleagues. I am forever grateful to Mike and Stephanie for encouraging me to be better in all areas of my life. Fresh out of college with a degree in sports medicine after serving as an athletic trainer at San Jose State University, Mike Ibasco got a job as a personal trainer at an Andre Agassi 24 Hour Fitness Super Sport club in Las Vegas. Ibasco spent more than four years working at 24 Hour. In one of those years, the company honored him with a client retention award. He says that although he learned a lot about how to be a trainer while there, he wanted more in his chosen profession. Ibasco left 24 Hour to become the director for a group of small physical therapy and fitness studios, but not long after, he went out on his own. In 2009, with the economy at its lowest, Ibasco opened his own training studio, The Fitness Source in Las Vegas. So far, the move has paid off. After the first year, The Fitness Source revenues have grown each year. In 2010, the company doubled its revenue and doubled its size from 2,000 to 4,000 square feet, Ibasco says. The company increased its earnings by 50 percent in 2011 and by 75 percent last year. Although employees, including trainers, leave their employers every day, Ibasco is part of what some in the industry see as a growing trend of personal trainers who are leaving big box clubs either for other professions or to open their own studios. More than one fitness industry executive acknowledged a high turnover of trainers in clubs. Jay Del Vecchio, president and CEO of certification company World Instructor Training Schools, Virginia Beach, VA, estimates the annual attrition rate of trainers is around 80 percent at some clubs and says he frequently receives calls from club operators asking him for leads on trainers. Many trainers who are leaving clubs either are starting their own studios or are getting out of personal training altogether because they did not produce enough business, Del Vecchio says.